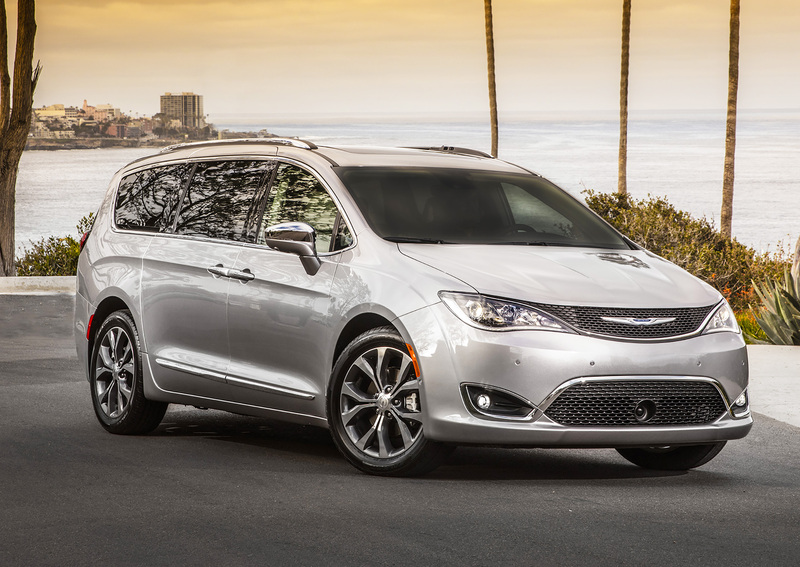 Chrysler’s new Pacifica has split personalities. The interior is designed for people who love minivans, and the exterior is designed for people who hate them. It’s an interesting and bold experiment as Chrysler tries to re-ignite the passion people once had for minivans in the 1980s and ‘90s. The segment has dramatically shrunk in recent years as many buyers have switched from boxy, utilitarian vans to trendier crossovers and SUVs, despite their sometimes gluttonous gas consumption and less useful cabins. The Pacifica makes the case that today’s marketplace isn’t being rational. The most logical vehicle for most American families, by a long shot, is the minivan. And this all-new design is a darn good one, perhaps the best ever to hit American roads. The Chrysler Pacifica does a brilliant job hiding its minivan bones from the outside. It combines the pretty nose of the Chrysler 200 with rear styling elements of a luxury crossover to mask its familiar, boxy dimensions. On the outside, the Pacifica does a great job shedding the frumpy persona that plagues most vans. While it’s still shaped like a box on wheels — the most efficient way to maximize interior volume — Chrysler’s stylists used visual magic tricks to make it look far more sleek and round from the outside. The Pacifica is an extremely talented disguise artist, taking on the pleasant, friendly face of the Chrysler 200 in front and the sculpted, sophisticated look of a luxury crossover in back. Still, Chrysler doesn’t shy away from the fact that this is a minivan at heart. Kia almost treats the term like an expletive, calling the Sedona a “multi-purpose vehicle” instead of using the dreaded M-word, but Chrysler embraces the Pacifica’s minivan-ness with pride. You can feel that most clearly on the inside, where it goes farther than any other vehicle to make kids — and, in turn, their parents — sublimely happy. On my high-end Limited tester, the back seats were a paradise of digital acronyms — USBs, HMDIs, LCDs — all designed to keep children entertained for hours. Ample power outlets meant my three kids could keep their iPads and portable games charged indefinitely on the highway. Even if we forgot to bring along the handheld electronics, the Pacifica had us covered. Two huge video screens could not only play Blu-ray movies, but they also came with built-in games that can be played by touching the screen or by remote control. The children could play tic-tac-toe or checkers against one another, for example, or play a fun game called “Are We There Yet?” that solves the bane of road trips. It integrates with the GPS navigation system in the front seat to display the van’s destination and progress along the route in a fun, cartoonish way for the passengers in back. All the kid-friendly gadgets make me wonder whether Chrysler misspelled this van’s name. It should be called the Pacifier, not the Pacifica. My biggest impression from the driver’s seat is sheer silence. This is the quietest van I’ve ever driven, and active noise cancellation, which comes as standard equipment on all trim levels, is a big part of that. 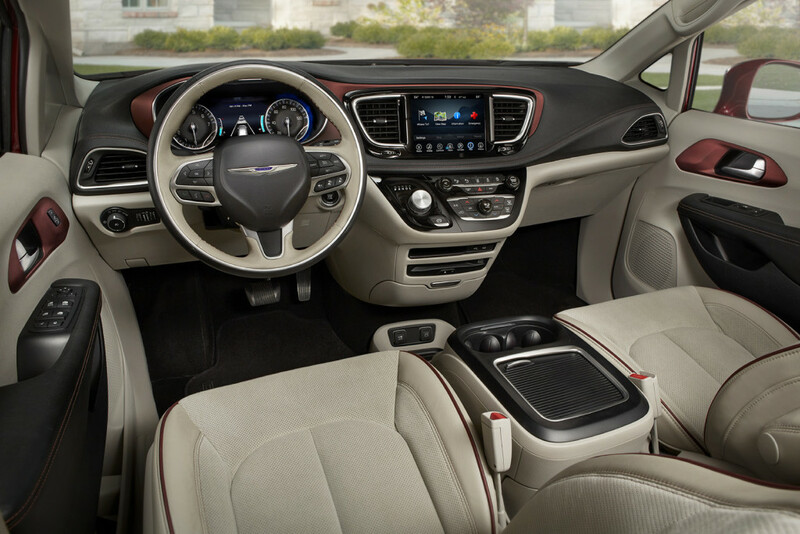 The Pacifica’s interior has the sophisticated look of an upscale car in the front. In the back, it’s very kid-friendly, especially on high-end trim levels with the optional entertainment system. So is the stiffer, stronger, better-designed chassis that underpins everything. It feels even more solid and rock-like than the Japanese-brand minivans over the road, something I never thought I’d say about a Chrysler product, and its 287-horsepower engine and nine-speed transmission feel as silky and well-tuned as anything in its class. Even its gas mileage is unsurpassed at 28 mpg on the highway. In my mind, though, resale value and brand reputation are the only two question marks about the Pacifica. Toyota and Honda, and to a lesser extent Nissan with its Quest, have earned esteem for longevity and ridiculously strong prices in the used-car market. Only time will tell if Chrysler’s latest work will close that resale gap as much as it has in technology and refinement, which are obvious from even a quick test drive. Overall, though, the Pacifica is a minivan full of pleasant surprises. Its sharp looks, refined driving feel and long list of family-friendly innovations (37 with this generation and 115 total, if you’re counting) are all meant to shatter expectations. With a plug-in hybrid version on its way soon, expect for them to be shattered even more. It’s the quietest minivan for sale today and is packed with family-friendly innovations, from its technology to its easy-to-stow seats. It’s also refined and stylish enough to tempt today’s crossover and SUV shoppers.